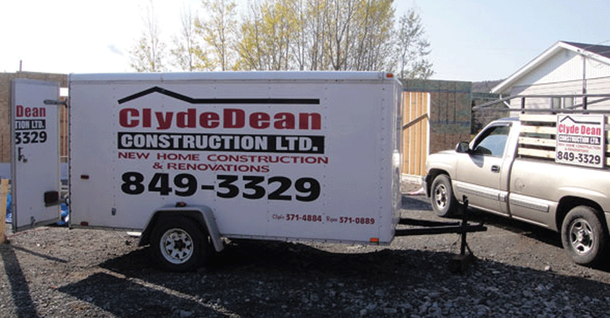 Clyde Dean Construction Ltd in Glace Bay, NS is ready to make your home renovation dreams come true. Whether you want an entire addition to your home or just a small bathroom renovation, we have the skill and expertise to get your job done to your satisfaction. For years, customers in the Sydney, Dominion and New Waterford areas have known Clyde Dean Construction to be a company they can count on for quality construction and honesty. Whether you're planning an interior or an exterior project, we'll always do our very best work for you. Because we do an excellent job every time we undertake a project, our customers tend to call us back. If you've been looking for a reliable construction company to make your kitchen or bathroom renovation a success, call Clyde Dean Construction Ltd—the company people in the Glace Bay area trust with their homes. Our construction company serves Glace Bay, Sydney and area. Count on us for home additions, interior renovations and more.